My second novel The Half-Child is probably my personal favourite of my books, so it’s always a particular source of delight when it rates a mention on the internet and/or in real life. The book was published in 2010, making this particular ‘baby’ an unbelievable eight years old. Despite receiving good reviews at the time and being shortlisted for the 2011 Ned Kelly Award for Best Fiction, The Half-Child did not sell as well as my other novels, due largely to the timing: 2010 was the year the book was declared ‘dead’ and, with it, publishing as we know it. Although reports of these deaths turned out to have been greatly exaggerated (to paraphrase a misquoted Mark Twain), a general slump in the sale of books (and rights) in 2010 affected many titles released that year, The Half-Child just one of them. So I was rapt to see The Half-Child mentioned in a recent blog post, Expat Crime Fiction in Bangkok: Recommended Reads, on the Expat Focus website — especially to have it mentioned alongside John Burdett’s Bangkok 8 and Timothy Hallinan’s The Queen of Patpong, two novels I greatly admire. In addition to the Expat Focus site, Margot Kinberg also referred to The Half-Child in a recent post about kinship in crime fiction on her wonderful blog, Confessions of a Mystery Novelist (I’m always grateful for Margot’s periodic mentions of my novels). And last weekend, I had the great pleasure of being a guest at the Batlow Book Festival, where one of the organisers, award winning author and dear friend Sulari Gentill, paid me the great compliment of describing The Half-Child as one of her favourite books. In public. In front of a crowd. (In the above photo, The Half-Child comprises the roof of a house, part of the brilliant decorations illustrating the Batlow Book Festival theme, ‘Doors to Other Worlds’). I’m grateful to all involved in re-birthing The Half-Child. 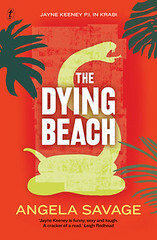 This entry was posted in The Half-Child and tagged Angela Savage, crime fiction, Jayne Keeney, Margot Kinberg, Sulari Gentill, The Half-Child, writing about Thailand. Bookmark the permalink. Thank you for the kind mention and link, Angela. It’s always my pleasure to bring up your work, and it’s great to see that The Half-Child is getting some of the attention it deserves. It is so interesting, isn’t it, how many factors go into whether or not a book sells. Thanks for the kind words, Margot. And yes, it is interesting to see what factors affect book sales. 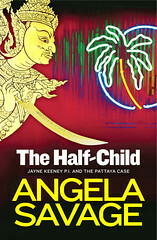 I read The Half Child some years back and loved it, Angela. I’m always curious regarding the factors behind why a book sells or becomes popular whilst other worthy novels struggle. Good to hear that you are re-birthing this fascinating story! Thanks Heather for that feedback. I can’t say I know why a book sells or not (I wish I did! ), but I wanted to write this post in part for emerging writers to understand that there is no magical formula, and circumstances way beyond your control can be crucial. It’s crazy how much of publishing comes down to luck and timing. Happy to hear your book is getting a little extra love now! I certainly liked The Half-Child, which is not only interesting and well-written, but is an examination of extreme poverty and the oppression of those who are forced into desperate situations because of it. It caused me to think a lot about poor countries and thir people, their children. It made me examine some truths I did not want to look at. All with a great protatonist, Jayne Keeney. 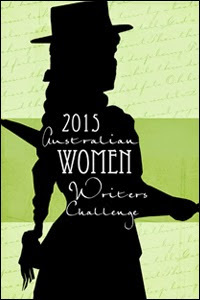 And I began to investigate crime fiction written by Australian authors, mostly women, but some men. The Half-Child ranks up there among my favorite global crime fiction reads. I put it on my big bookshelf where it sits near where I use my computer. When is Jayne reappearing? Or is she? Thanks for this lovely feedback, Kathy D. To be honest, I don’t know if Jayne will reappear. 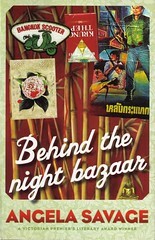 My latest novel (still looking for a home), while set partly in Thailand, doesn’t feature Jayne. But who knows? She may well have other stories left to tell me. The upcoming book is about surrogacy, right? That should be interesting.